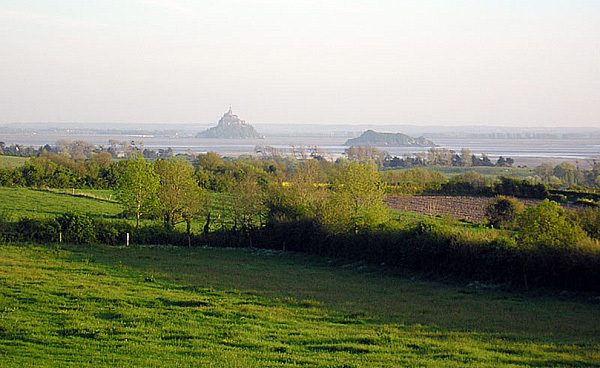 Le Clos Saint Jean offers a cottage for rent, with views of Mont Saint Michel, its bay and the islet of Tombelaine. This cottage, for 2 to 4 people, is located in the countryside, in the small village of Dragey Ronthon, in Manche (Normandy), between Avranches and Granville. Here is the view of the room of the cottage.